Debra, growing up you were always drawing and making things. When did you begin making paintings? Why did you switch to acrylics? I see two distinct styles in your work. “Yes, you're seeing realism and modern art styles. 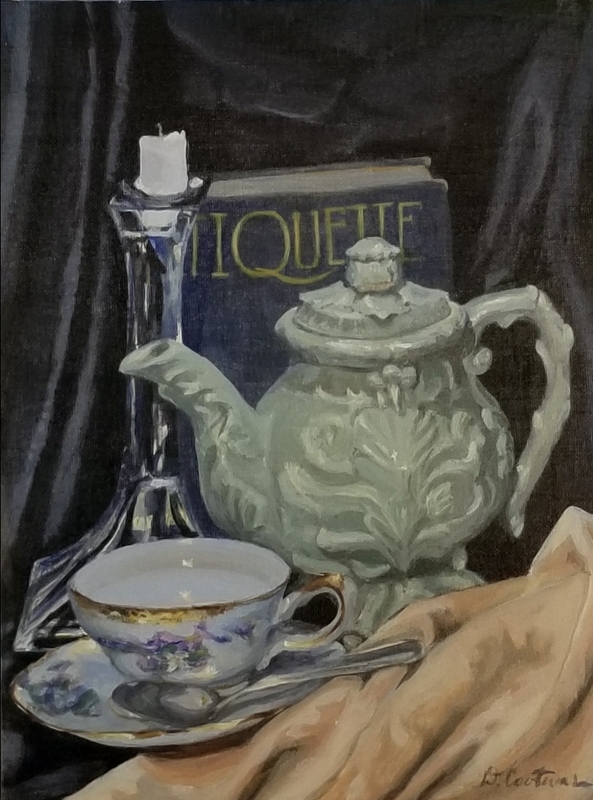 I love to paint portraits, landscapes, and still life in realism. However, occasionally I create blind contour drawings or paintings in a modern style. What is blind contour drawing? “Blind contour drawing is so fun! It is drawing while not looking at the paper or canvas. My eye is fixed on the subject and carefully moves over the outline of the shape, while my hand mimics the eye’s movement on the paper. I generally try to do these drawings in one continuous line. If I’m painting I start with the background, blind draw over it, then finish it while looking by pull out and emphasize certain elements with color. You paint portraits, what other subjects do you enjoy painting and why? “Yes, I love to paint faces, I painted and drew commissioned portraits for years and family portraits fill the walls in our home as well. My favorite portraits though are a collection of feet. I thought it would be funny to paint family portraits of our feet. They are rather large 2'x2'. It's a bold statement. Also, the reference photo shoot was hilarious. ‘Come on, guys, I want to feel your foot’s emotion!’ My daughter-in-law the actress said, ‘I need to build my back story.’ We're a goofy bunch. We now have an entire wall full of feet. My mom commented, “You should paint this wall (the opposing) full of shoes.” I haven't gotten to that yet. So, you paint from your life experiences. Finished back with wire for hanging. Fine art just for you.